Just an update that the application window for Summer Conservatory 2015 is now officially closed. We received SO many applications this year though and are very excited to audition all of these talented young men and women! If you missed the application window, we look forward to hopefully meeting you next year! Just a friendly reminder that applications for Summer Conservatory 2015 are due by 6pm TOMORROW! 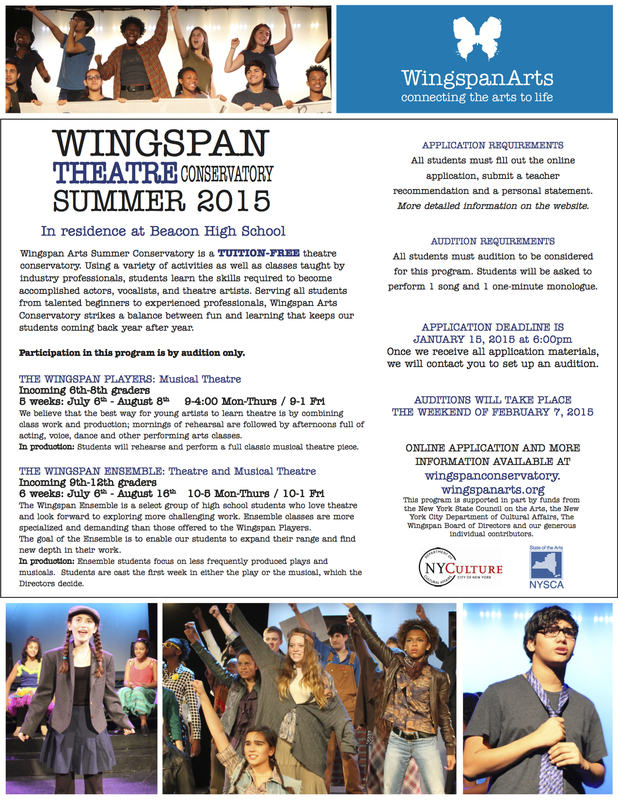 Also, if you are looking for summer programs for younger children, be sure to check out Wingspan’s Summer Studio! Summer Conservatory DEADLINE IS JANUARY 15! Don’t forget that Summer Conservatory 2015 applications are due next week, on January 15th! We must receive all application materials by 6pm on the 15th in order to be considered for an audition. Check out the Summer Conservatory page for more information.